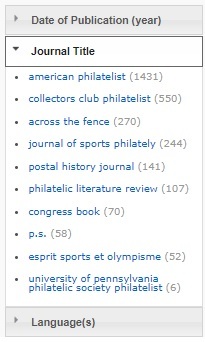 To achieve this goal the APRL began scanning, digitizing and uploading the complete run of the American Philatelist into a ContentDM-based web platform titled APRL DIGITAL. 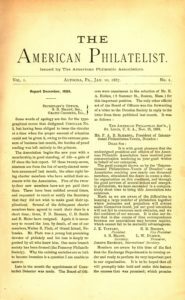 Starting with the very first issue in January 1887, APS members can now access all published issues of the society’s official organ enabling them to conduct full-text searches of all of the issues as well as being able to download any of the issues. As for brief set of instructions for accessing the content found in the APRL DIGITAL, users should first visit the APRL’s page on the new APS website (www.stamplibrary.org). Before clicking on any links to access the digital library content you must be logged in to the APS website. Login to the website using the “log in” link at the top of the page (circled in red below). If you have never logged in before you can create a login and password as well after clicking on this link. 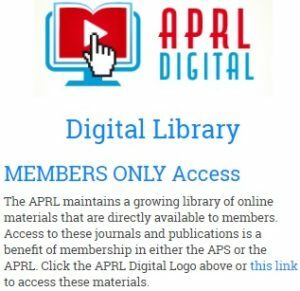 This step of gaining access is very important before proceeding, if you are not properly logged in to the APS website you will not be able to access all of the content in the APRL DIGITAL database but will instead see many “restricted files” instead of viewing full AP and other journal issues. 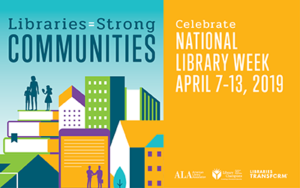 Once you are properly logged in, look for the APRL DIGITAL icon on the right side of the APRL webpage. There below the icon should be a link titled “MEMBER ONLY Access.” If you do not see this link underneath the icon along with the words “DIGITAL LIBRARY” you are not properly logged in and must repeat the process of logging in.. Once logged in click on either the APRL DIGITAL icon itself or the links titled “DIGITAL LIBRARY” or “MEMBER ONLY Access.” You will then be taking to the Digital Collections webpage and can access the digital library content for there. In the coming weeks in the AP, the PLR and this blog there will be a tutorial created for conducting effective searches and explaining other features and functions of the database. For now, we would ask members to use the database and let us know about what works and what improvements they would like to see so that we can continually enhance its functionality. When browsing the digital collection ALSO feel free to let us know if there is any that needs to added as we strive to have complete and comprehensive runs of the house organ and the other uploaded journals in our digital library collection. Scott, For the record, AP for the complete years 2000 to 2006 inclusive are not online, returning instead the phrase “The item you tried to view does not exist”. The same response applies to all six issues of the University publication (sorry, can’t recall its exact title).